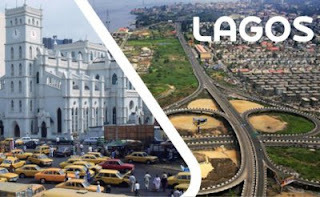 Home / featured / Lagos Vs Abuja: Which Is The Best Place To Work? Lagos Vs Abuja: Which Is The Best Place To Work? As far as Nigeria is concerned, everyone loves Lagos and Abuja. Not just because these two cities have got big structures and well-built roads, but because they also have that 'unique capacity' to change the fortunes of a 'newcomer' in a little space of time. There are lots of employment opportunities in these cities (when compared with what is availablein other Nigerian states). And as expected, there are always debates on which of these two cities is the best to work. Many fresh graduates who are ready to migrate to a society that can help fast-track their progressin life, always ask questions like: "Between Lagos And Abuja, Which Is The Best Place To Work? "Now, before giving any response to your curiosity, there are certain things we need to highlight first. Abuja, being the capital of Nigeria, is home to the country's 'big guys'. As a result of this, the average Nigerian sees Abuja as a place for 'big men' and 'big women' who have enough money tobuy anything they desire at any price. And so, many businesses (both big and small) are operating with these school of thoughts (not minding the fact that there are many poor/average 'hustlers' migrating to Abuja for greener pastures)So, things are more expensive in Abuja than they are in Lagos. The South Western state is more affordable to live in compared to the FCT. If you are a young dude planning to kick-start a new business, you are likely to achieve success operating in Lagos - due to various factors. The South-Western city has a solid entrepreneurial culture. Lagos has the population - people from different walks of life, who you can easily convert to paying clients and customers. In Lagos, it is easy to network with other business owners like you (yes, they are in large numbers). You mingle, your partner and you share ideas. Don't have an office? There are lots of low-cost co-working spaces and hubs in Lagos! Lagos presents the privilege to move from one place to another easily and cheaply. In Lagos, you get more public transportation options than in Abuja. The transport system in Lagos is much cheaper too. Name them. BRT buses, the 'life-saving' molue buses', cabs, tricycles, okadas, all in Lagos! Still on transportation, if we consider flights option, quality and affordability you will agree with me that Lagos has cheap flights option. Though flight from Lagos to Abuja vice versal are equal for both cities. ABUJA IS MORE DEVELOPED In terms of development, we can rate the FCT ahead of Lagos (of course, that never means the gap is wide). Why won't Abuja look more pleasant than all other states in the federations? It regularly hosts foreigners who are ready to judge the whole country with the things they see in the capital of the country. So, it is no surprise the federal government spends lots of money regularly to put up notable attractions in Abuja that match some of the best in the world. The Federal Capital Territory is home to Nigeria's biggest industrial estates, banks, and ports. The biggest companies want to have headquarters in the Federal Capital Territory. This is understandable. Everyone must be closer to the country's parliament to persuade them to make laws that will favour their firm. As you can see, both states are nice and pleasant to settle down in and work. You must also note that what works for someone else might not work for you. So study both cities closely and make a careful decision based on what you've got at hand. The bottom line is, both states have all it takes to help you have a fulfilling career.